You could have been planting dormant trees the last three months or so, with no worries of having to water them in, but there is still plenty of time. Consider species you don’t have many of (or need more of) in your area and get to work. Don’t forget to use tree protectors and fertilizer for optimal growth and protection from hungry critters such as deer and rodents. It’s probably too cold to get trees in the ground, but now is a great time to decide where you want to plant them, and why not go ahead and flag each planting spot at the proper spacing. Not every area you want to plant trees may be on open ground with plenty of sun, so crank up your chainsaw and cut down unwanted trees to make room for new ones. While you are in the area and if the ground is thawed out enough you can bring your shovel and “pre-dig” the holes and backfill them to provide nice, fluffy soil to make your planting day more efficient come springtime. 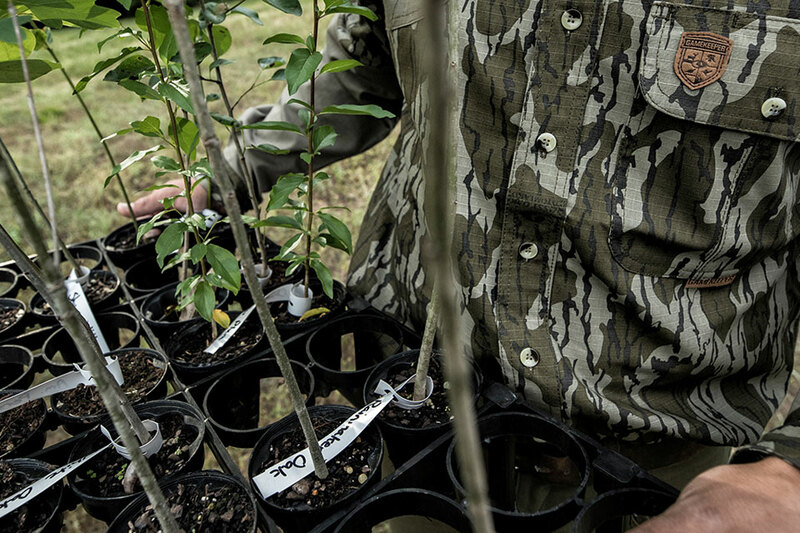 Don’t forget to check our vast selection of wildlife friendly tree seedlings and tree protectors at www.nativnurseries.com or visit our YouTube page for lots for planting and maintenance videos. If you need any further help, never hesitate to give our knowledgeable staff a call at (662)494-4326. For more tips on planting trees for wildlife, read “Techniques to Improve Mast Production.” Whether it’s persimmon, cherry, crabapple, white or red oaks, or you’re lucky enough to have chestnuts, it’s amazing the yield of wildlife food you can coax out of your habitat. Without ever planting a food plot, and by spending very little, you can entice your trees into producing tons of food for your wildlife simply with a chainsaw, pruner and a little fertilizer.